Designs on Madison is a thoughtful joining of Cincinnati’s most celebrated interior designers. Inspired by a collective commitment to their clients’ desires, the group brings together limitless talent, a kaleidoscope of styles, and countless years of experience. It is built around the beliefs that design should be effortless, that it is meant to be enjoyed. I'm an Interior Designer/ Design Artist and Master Builder. I was named Best Of HOUZZ 2012,2014,2015,2017 and 2018!! ! My work has been viewed by millions of people and saved over 100,000 times!! I have my own line of furniture and fabrics. 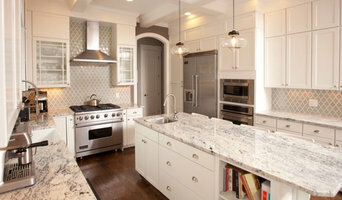 I specialize in Interior & exterior design, space planning, architect and contractor interface, custom furniture design and production, ultimate in custom kitchen cabinetry design and production, world's finest interior finishes, stunning window treatments, plumbing fixtures, hardware, decorative lighting, etc. 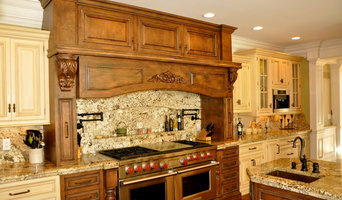 I've just finished a new line of incredible cabinetry and furniture finishes that are one-of-a-kind productions. I also provide a complete library of finishes for walls and ceilings, murals and Trompe l'Oeil. World Class only, in my Vocabulary!!!!! I create History the first time. Both Moscow, OH interior professionals are closely related and often mistaken for the same thing, however, there are some significant differences you should be aware of before hiring. An interior designer, also known as an interiors architect, will not only hone your style down to its very essence but will be able to choose a functional layout. All Moscow, OH interiors designers require specific schooling and formal training. They use their specialised knowledge of interior architecture, building regulations, materials, and furnishings to help you arrive at your dream home design. 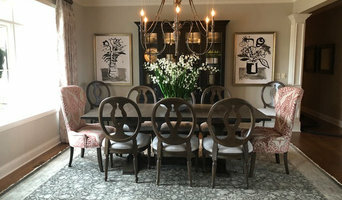 Interior design companies can come on board during the early stages of construction to plan spaces and room functions down to the last detail, and can help design and renovate interiors and decorate. On the other hand, an interior decorator will typically be involved with the “look and feel” of a space, and won’t be able to assist in renovations that require structural work. Interior decorators in Moscow, OH normally come on board after all structural work is complete. Why should I hire an interior designer or decorator in Moscow, OH? Everybody wants to a home that reflects their personality, though some of us are just too preoccupied with a career and/or family to think about colour schemes, wallpaper, flooring, and lighting. A Moscow, OH professional interior designer can save you bags of time, stress and months. Residential interior designers and decorators in Moscow, OH understand the latest trends, have a good sense of layout and functionality. They can also save you money by sourcing products via trade contacts or offer affordable alternatives to blowout iconic designs. How do I choose the right interior designer in Moscow, OH for my home? Every Indian home is unique in its style and can be an inspiration to define your own style. You start by looking at images and work of different interior designers and decorators in Moscow, OH. Save the pictures and details of the professionals who match your taste.There are plenty of interior design companies and interior designers who can help you turn your living room into mix-and-match lounge oozing an eclectic style, or turn a pale and interesting minimalist bedroom with shots of colour, or a beautiful space inspired by Scandinavian design. Pick an interior designer in Moscow, OH who has completed work similar to the look and feel that you desire. Be sure to discuss your needs, ideas, constraints, and budget early on. Some interior companies are design only, while others can oversee the whole project. If it is the latter that you seek, make sure all subcontractors used are well experienced and accredited. What are some of the important questions to ask Moscow, OH interior designers or interior decorators? Find an interior designer or home decorator on Houzz. 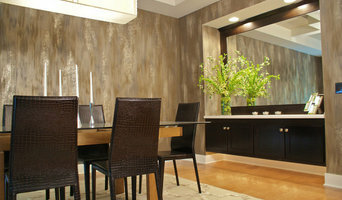 Narrow your search in the Find Pros section to find Moscow, OH interior designers & decorators. You can also look through photos to find a room you like, then contact the interior design firm who designed it.